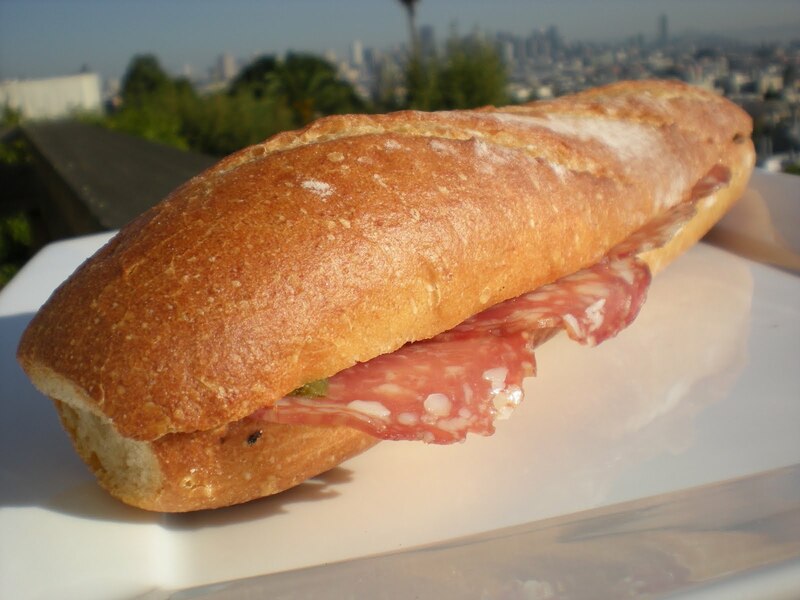 How can you go wrong with sliced hard salami on a baguette!? Add some cornichons and you’ve got a winner! This sandwich doesn’t need the help of any condiments, it’s perfect in its simplicity. My only gripe was that the baguette was a little chewy and stale. I think it’s because these “Grab & Go” sandwiches are premade and kept in a plastic sleeve. They’re easy and tasty regardless. This entry was posted in Bakery, La Boulange and tagged bread, cornichon, salami, sandwich by vicentesf. Bookmark the permalink.